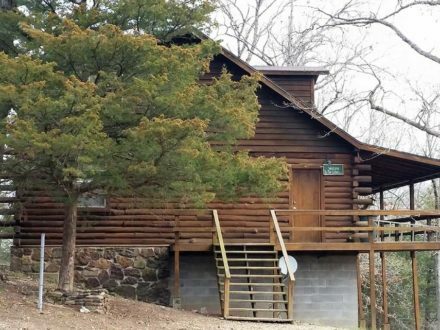 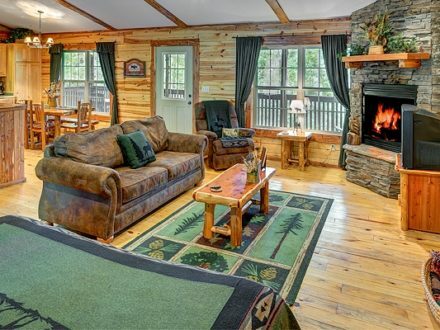 Offered by Ozark Mountain Vacation Rentals – Get an INSTANT QUOTE NOW via email by clicking “Email Us” or using the contact form, below. 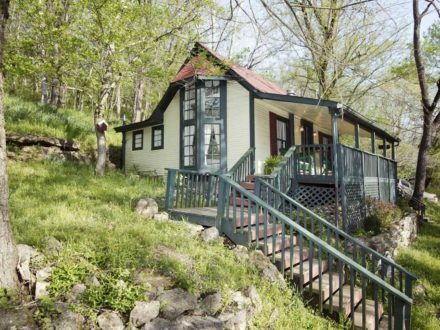 Downtown Stone Cottage with large private deck. 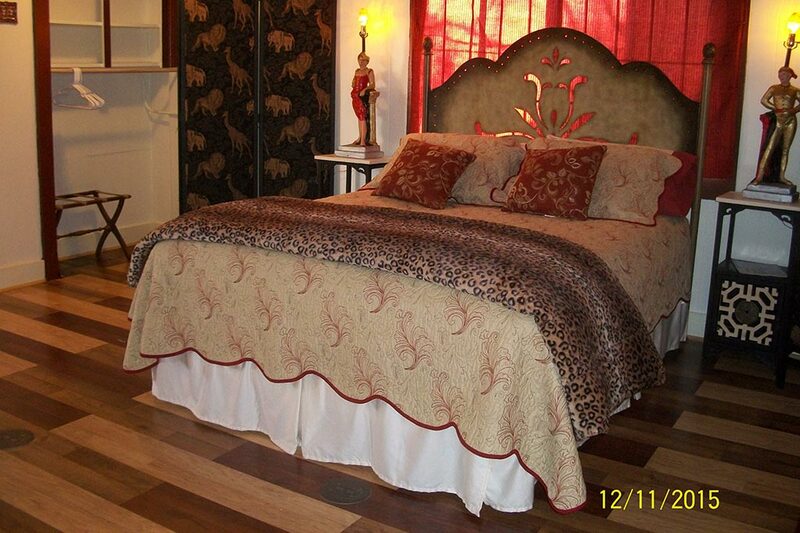 The Stone Cottage on Center Street – has a plush queen size bed with an appealing vintage decor. 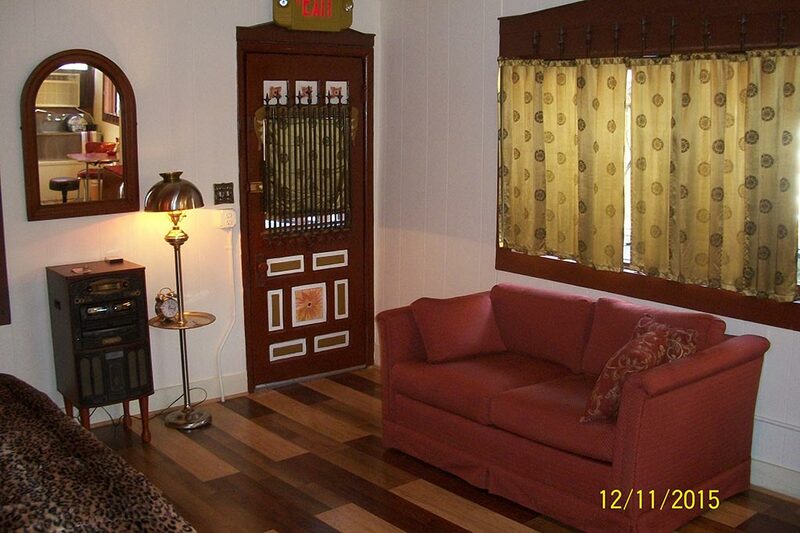 The cottage is open and roomy with a fabulous patterned wood floor and a comfy sofa in the sitting area. 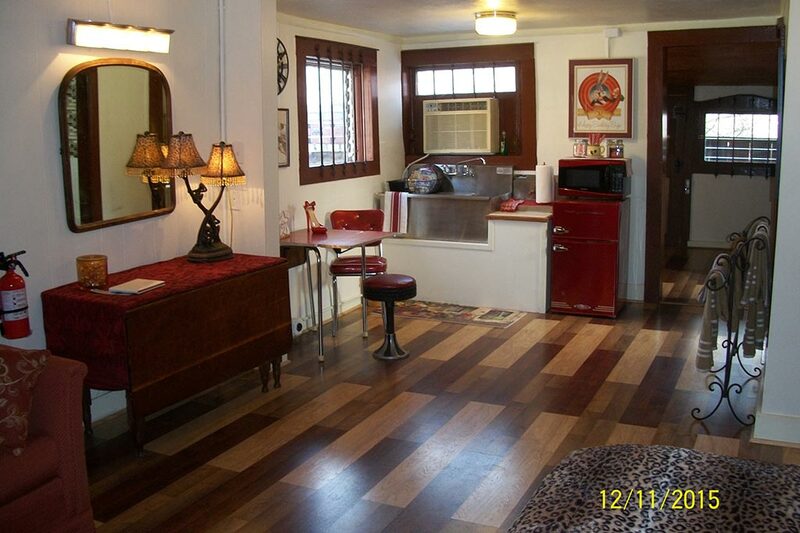 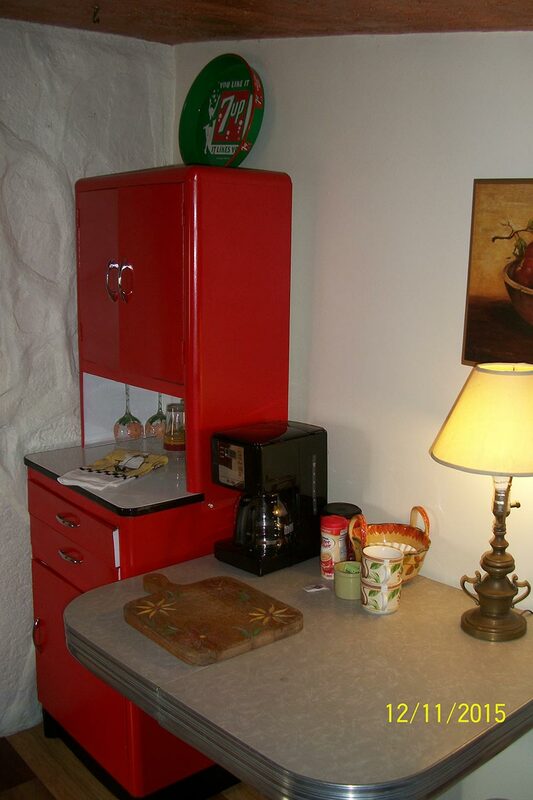 The kitchenette has a two door small refrigerator, microwave and coffee maker, with a dining area for two. 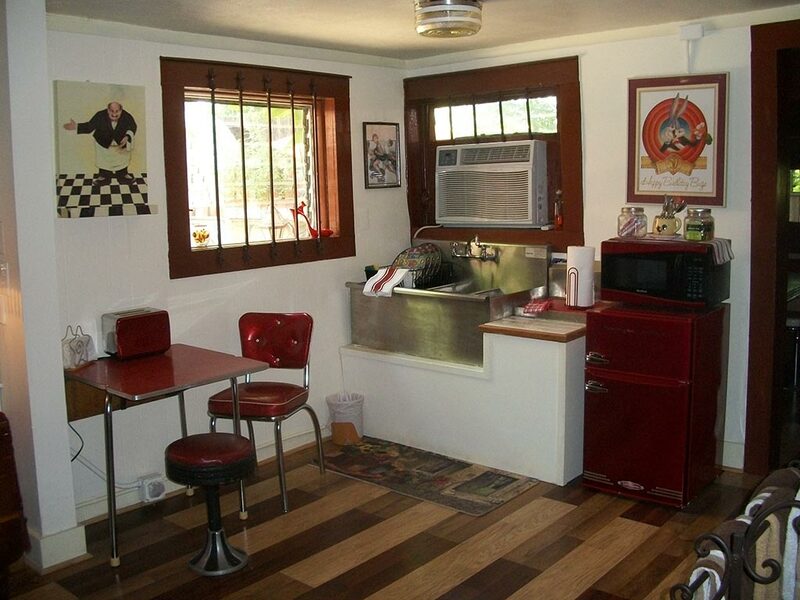 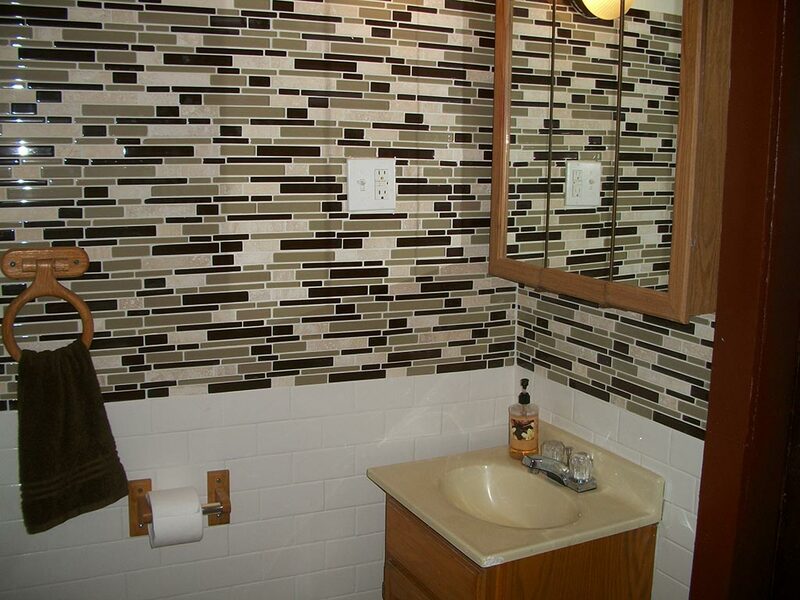 It is complete with your basic cookware, dishes and cutlery. 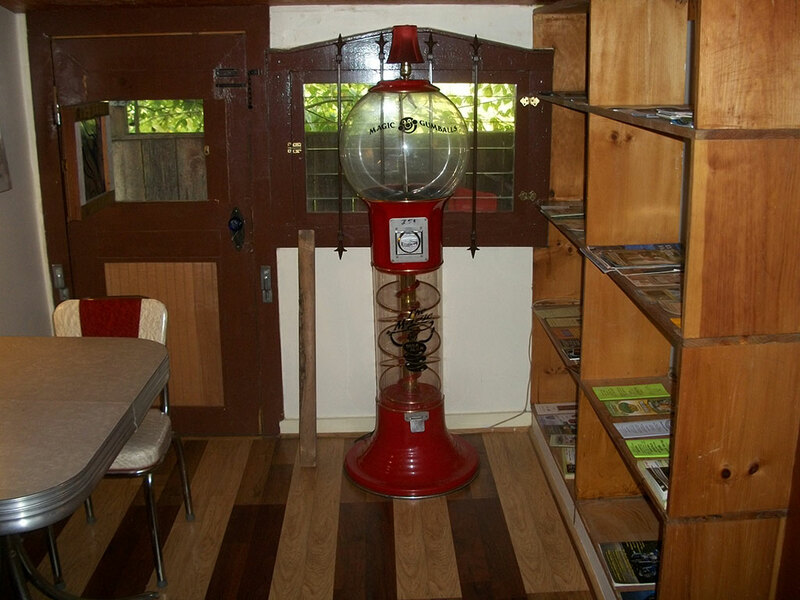 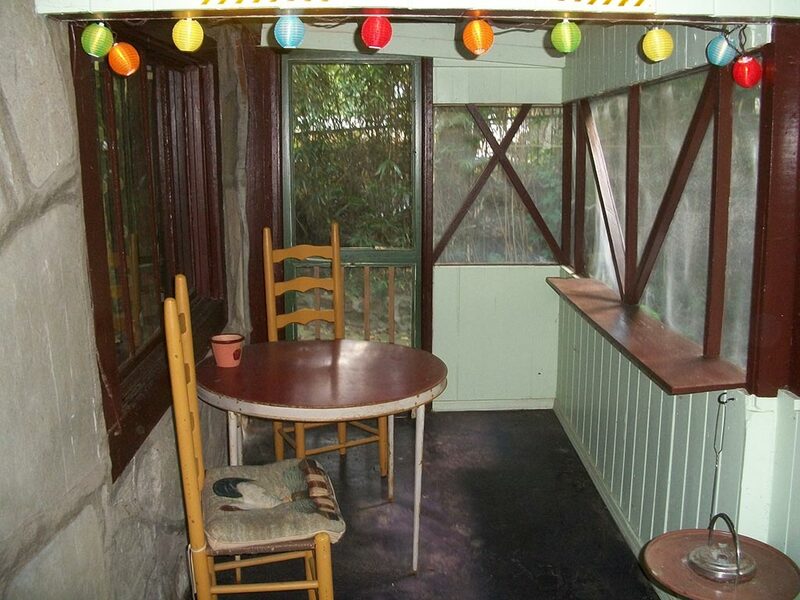 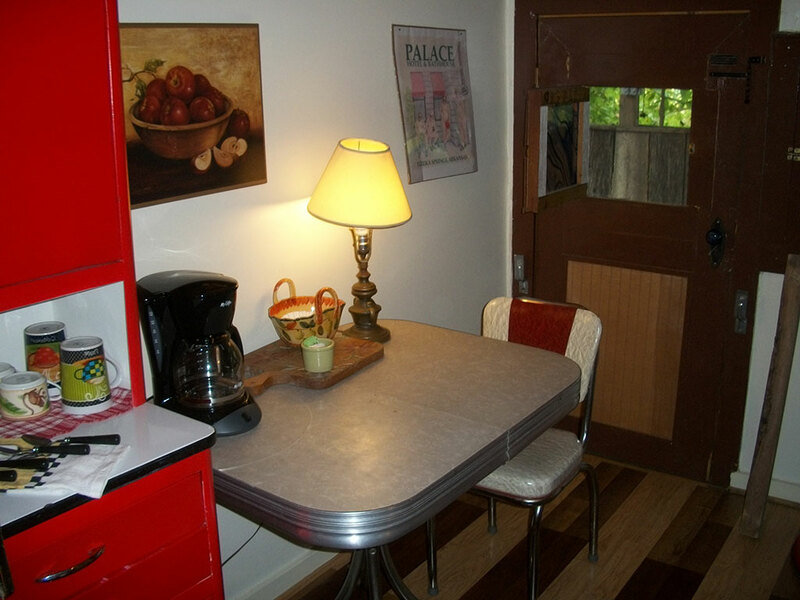 There is also a table with seating for two in the breakfast nook and reading porch. 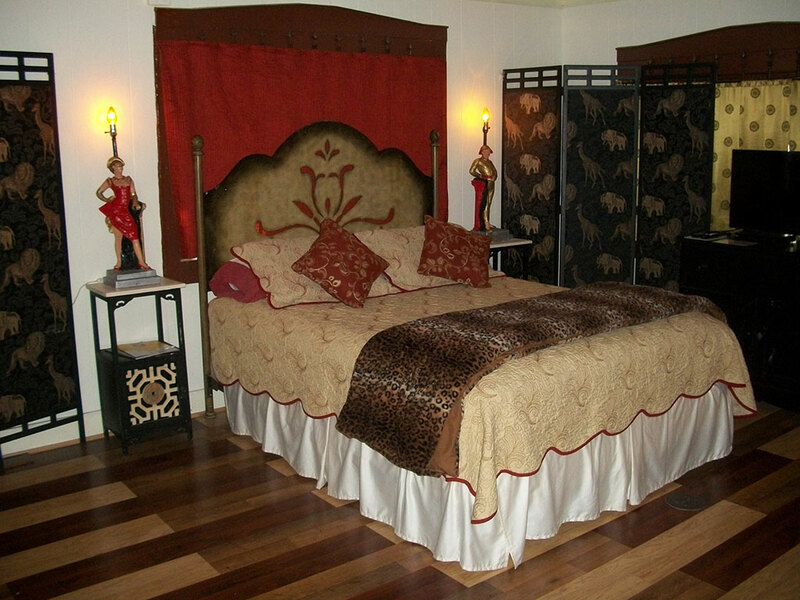 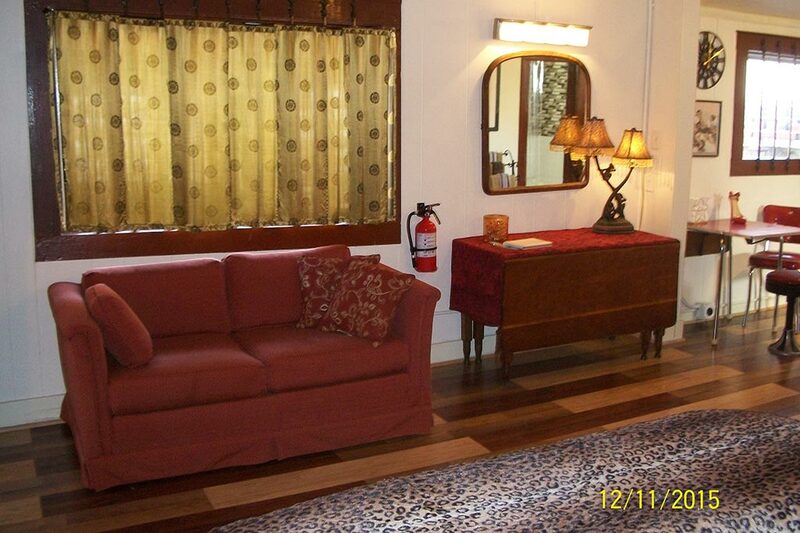 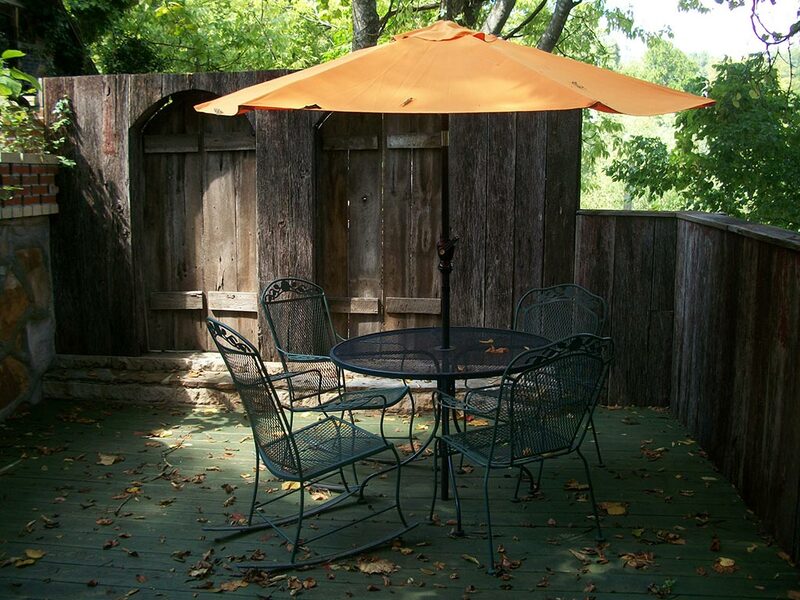 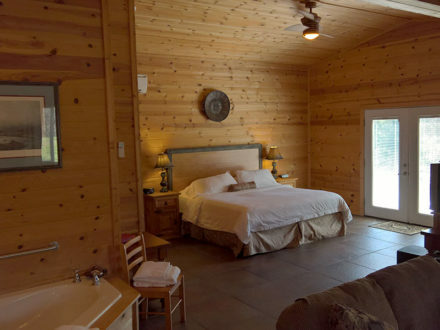 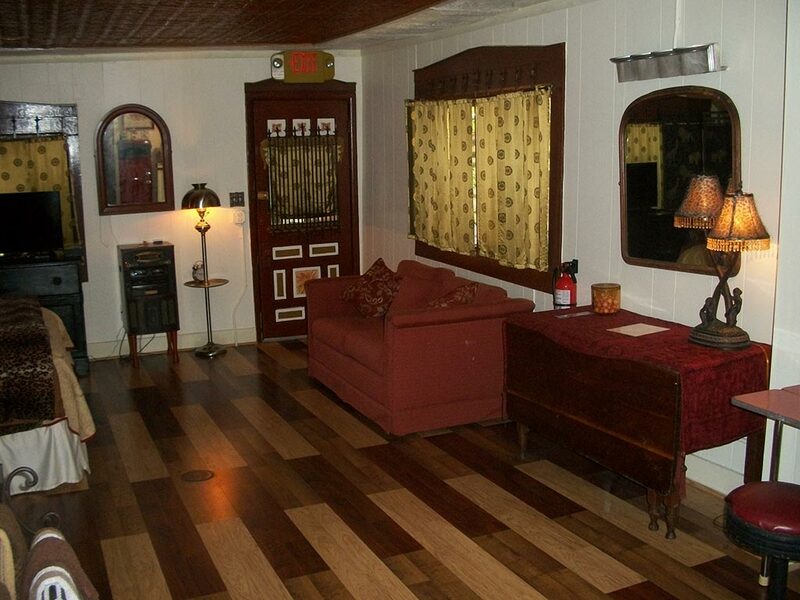 From this room you exit the back door onto your large private deck oasis, which has scenic views of Eureka Springs. 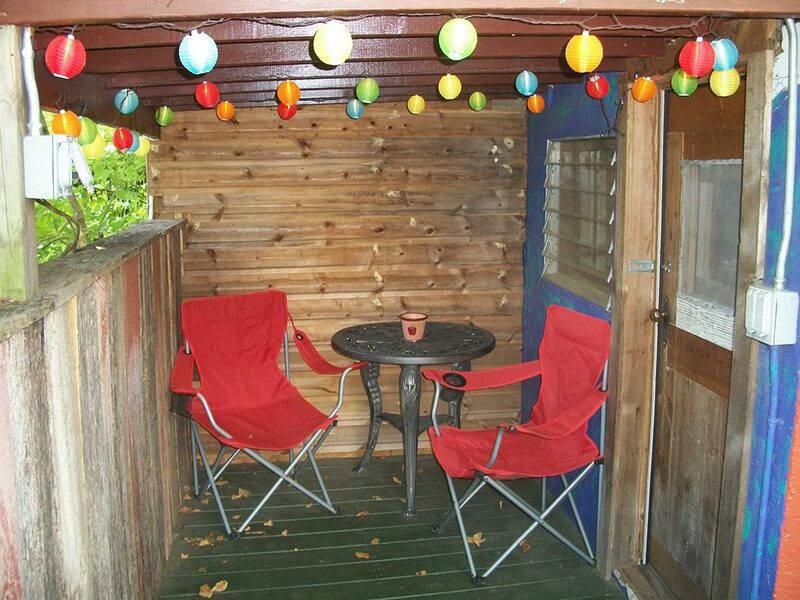 You can catch some rays or hang out in the shade of the covered portion of the deck. 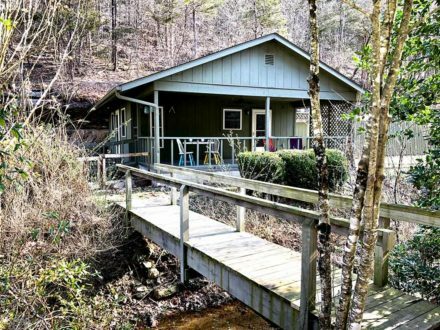 On the front of this cottage there is a screened in porch which also has a place to sit and relax. 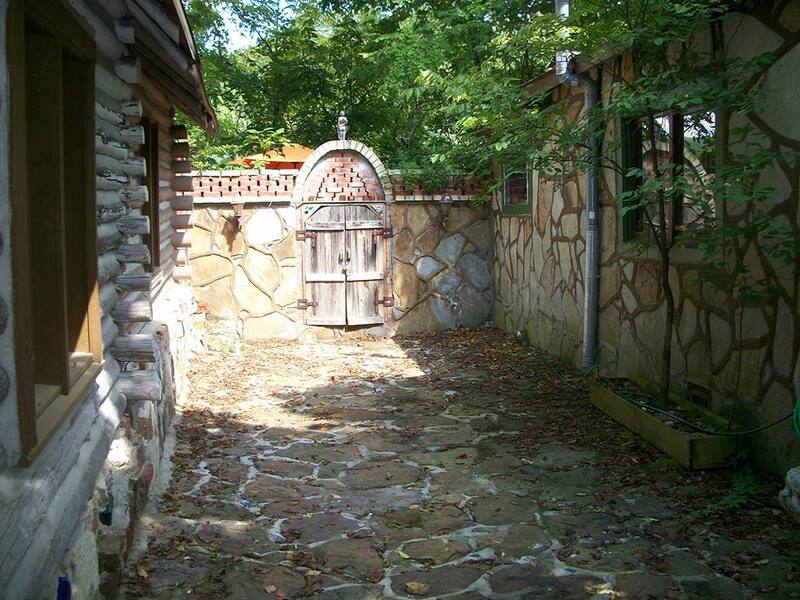 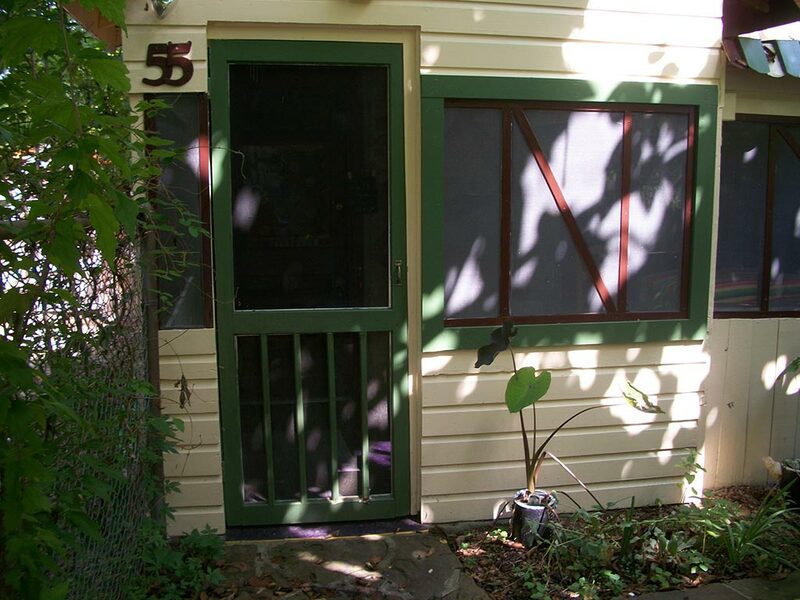 The front yard is fenced and has a stone patio complete with a bar with stools and an umbrella. 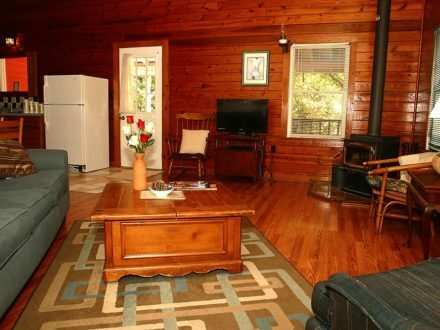 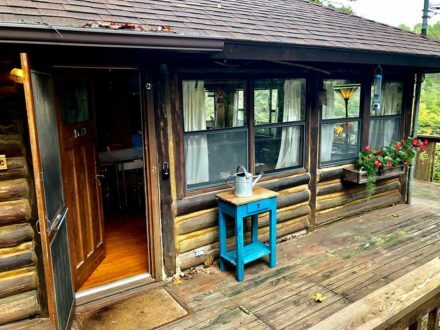 You truly will be able to enjoy every bit of this great private cottage inside and out. 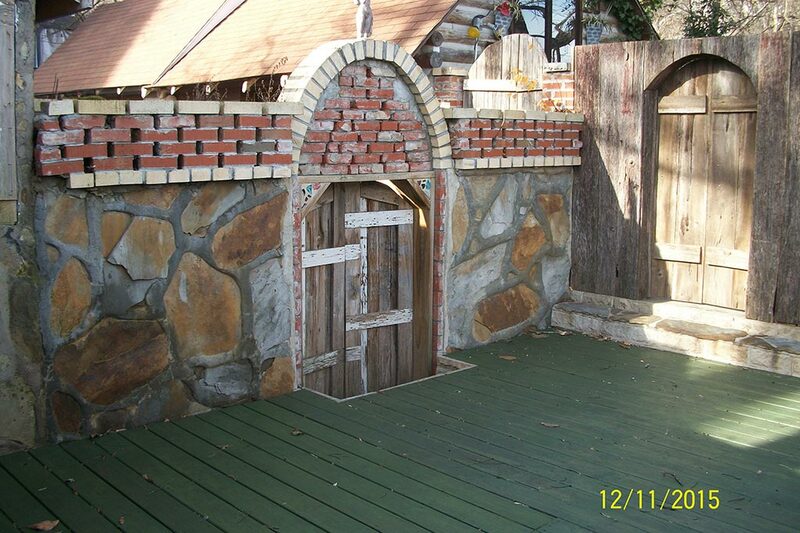 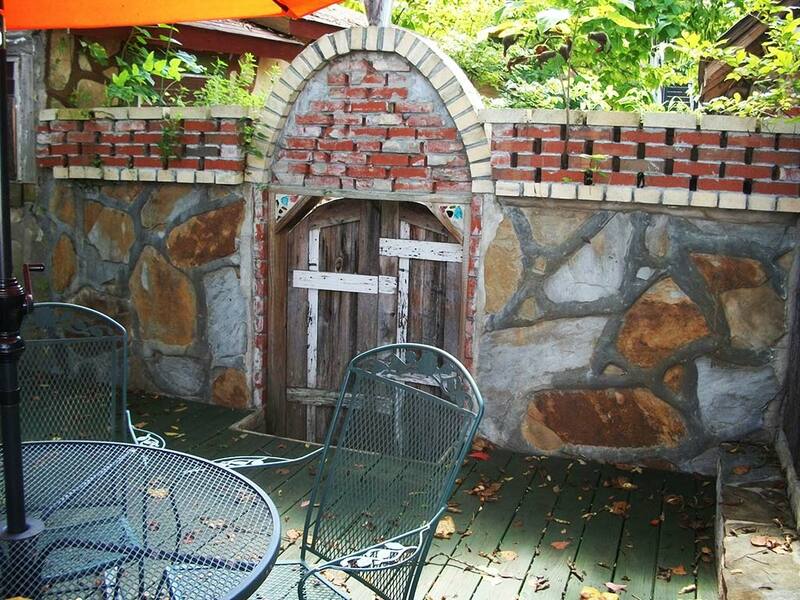 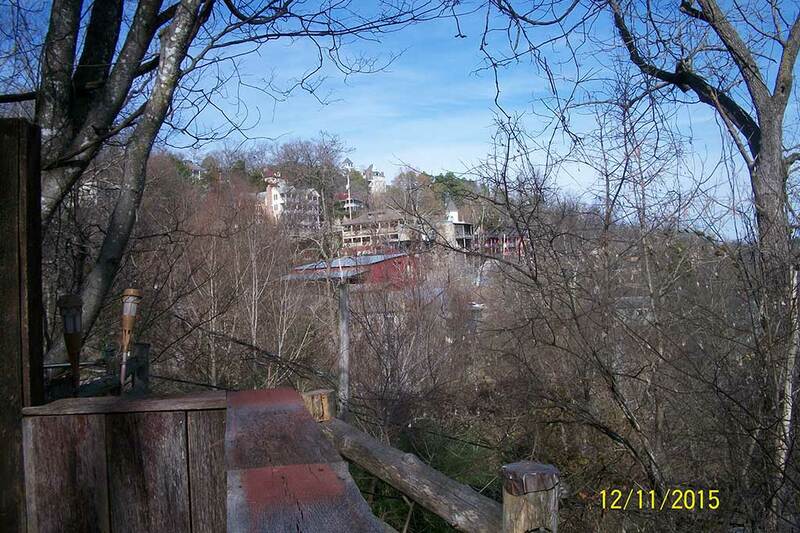 It is located in downtown Eureka Springs just off of Mountain Street on Center Street. 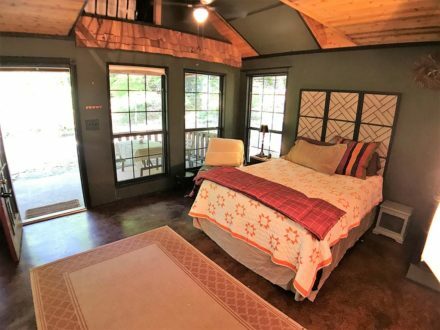 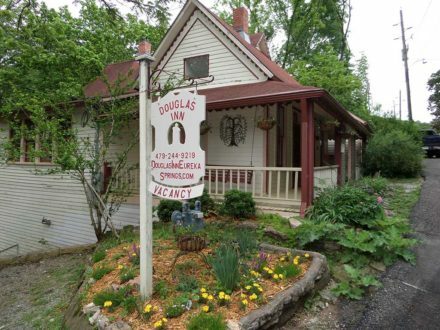 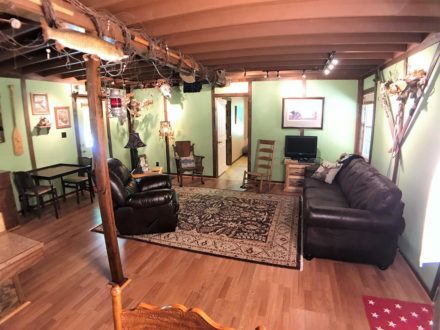 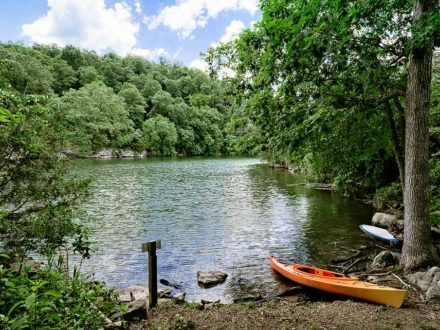 You will find it very convenient being so close to shopping, dining, nightlife and all that Eureka Springs has to offer. 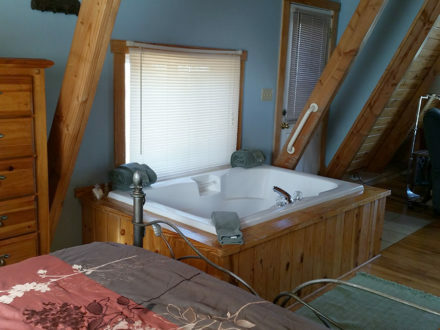 Payment due in full at time of booking.